« $1000 Off Kosmic & FA Kart! 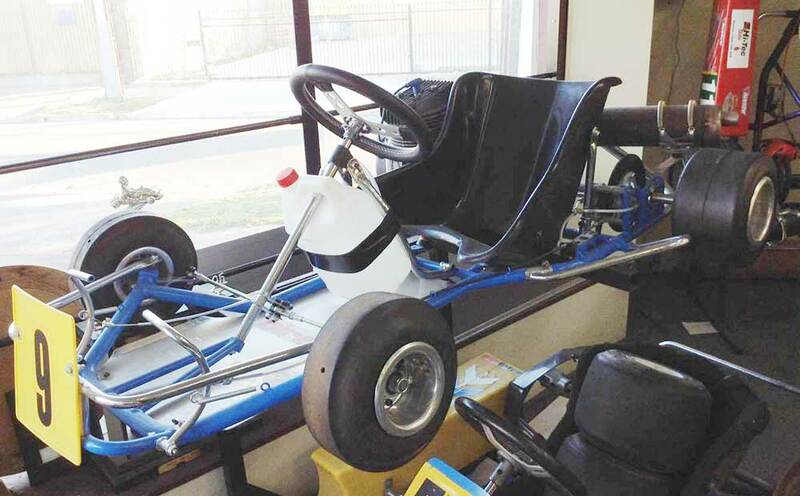 A vintage Birel kart, restored as a replica of that driven by former F1 driver Ricardo Patrese, has been stolen from JK Tuning in South Australia. Taken was this 1974 Birel Estoril (chassis #500T3) fitted with a 1972 Komet K99 (engine #3062). The break-in happened at 5:10am Wednesday from JK’s premises at 615 North East Road, Gilles Plains (Adelaide). The kart belongs to JK Tuning’s John Karavas and has never been driven since being restored. There is a reward for its safe return – phone John on (08) 8261 6011.